A repairman tries to diagnose why this three-year old PC stopped functioning. It's owner, not in the frame, stood nearby waiting for him fix it. "Does it make more sense to repair a broken computer or buy a new one?" I asked the customers waiting to have their devices repaired only to be met with a blank stares that barely betrayed how I could ask such a dumb question. 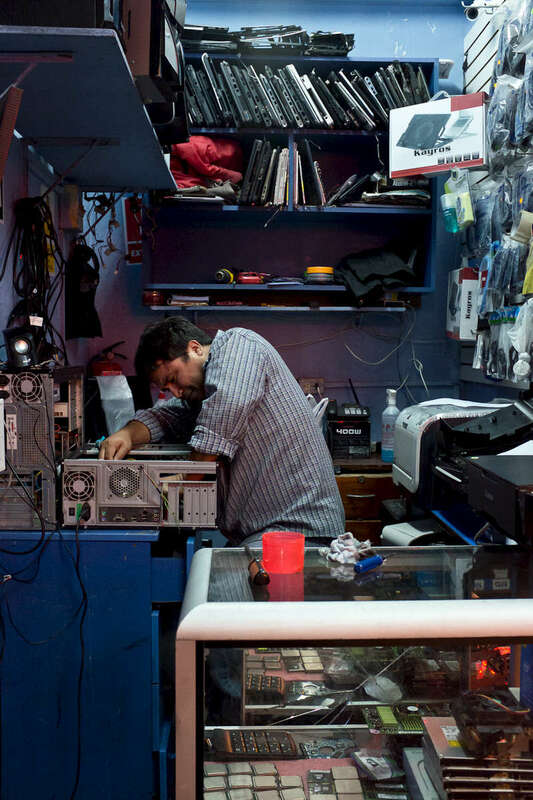 Repairing a computer can cost $30, whereas a new product costs 10-20 times more.